Krusteaz cookie mix review: Shortbread, Gingerbread, Oatmeal Scotchies, Snickerdoodle plus a giveaway! Today is officially the start of the cookie season – it's National Cookie Day! Yup. 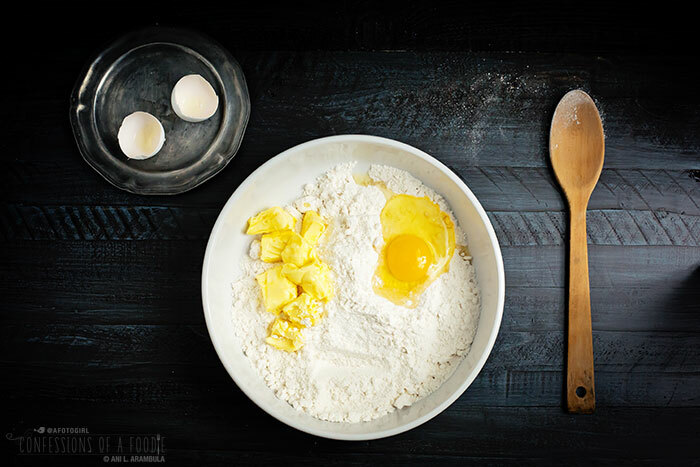 There is such a day and to celebrate, I'm reviewing four mixes from baking experts, Krusteaz (the name comes from the words "crust" and "ease"). Krusteaz sent me a care package which included five flavors of cookie mix to try: Shortbread, Snickerdoodle, Gingerbread, Oatmeal Scotchie and Butter Vanilla Sugar, which is the only mix I didn't get a chance to try in time for this review. If you've spent any time around here, it's no secret I'm a sucker for shortbread. I blame my Auntie Sally who adored Lorna Doone. I have recipes for shortbread crusted lemon bars, shortbread crusted blood orange bars, lavender shortbread, and earl grey shortbread. 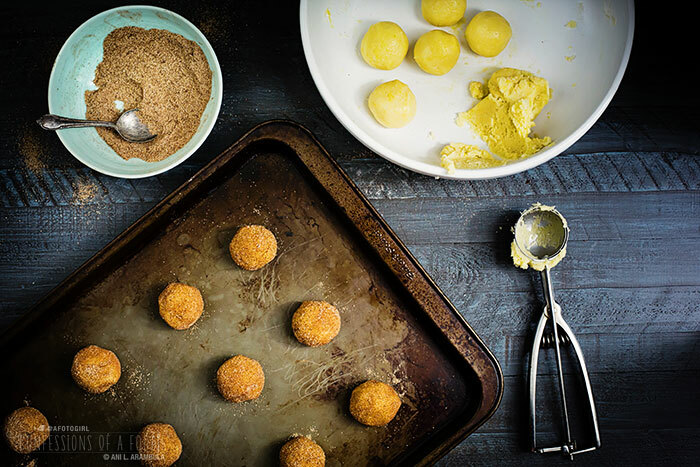 Now I could have made these straight out of the box but, like I demonstrated when reviewing Krusteaz Pumpkin Spice Muffin Mix, I love being able to take these pre-measured box mixes and use them like a blank canvas, infusing them with my own flavor twists. Taking a cue from my lavender shortbread, I added lemon zest and thyme leaves fresh from my grandmother's garden. Good shortbread cookies are a thing of beauty. They rely heavily on butter, meaning it's important to use the best that you can afford. Organic butter is great, European style (or, my favorite, Irish style butter) are even better. Prepare the cookies according to the package directions, adding the zest from one lemon and 1 tablespoon chopped fresh thyme. 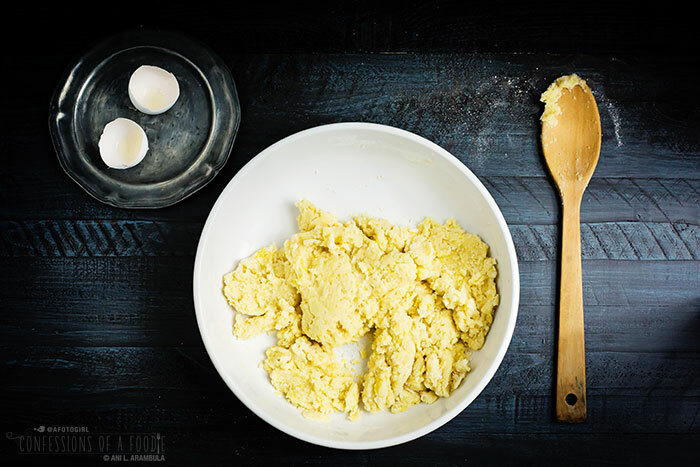 Mix until dough starts to come together, switching to hand kneading until most of the flour is incorporated and dough holds together when pinched. I like to use a large, shallow bowl for this so that I can gently knead the dough without having to add additional flour. Tip out onto a large piece of plastic wrap. 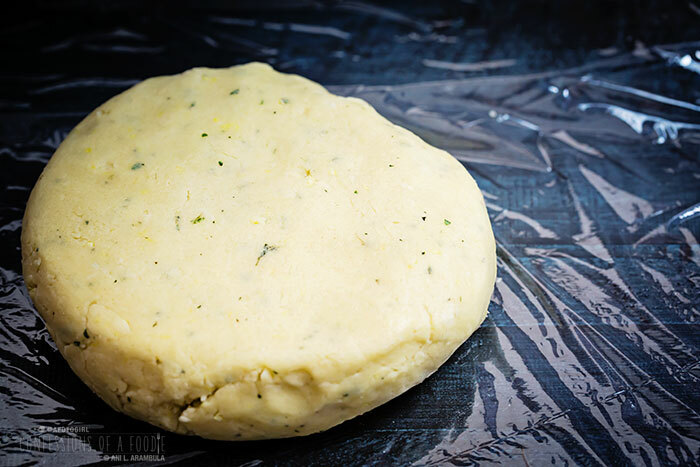 Flatten the dough into a disk and wrap tightly. This needs to chill for about 25 minutes. Look at all those flecks of thyme and lemon. Wait until you smell this dough! After it's chilled, roll out to a 1/4-inch thickness on a lightly floured surface. Try to minimize the amount of flour you use; the more you add, the tougher the dough will get. 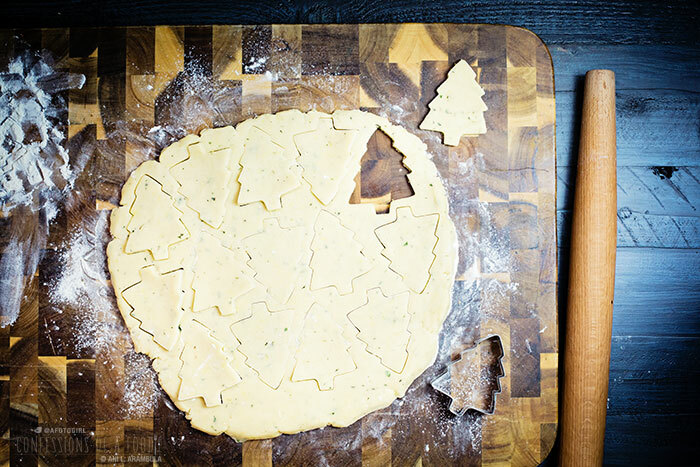 Cut out using desired shapes, place on parchment lined cookie sheets and bake according to box instructions. Repeat with remaining dough. 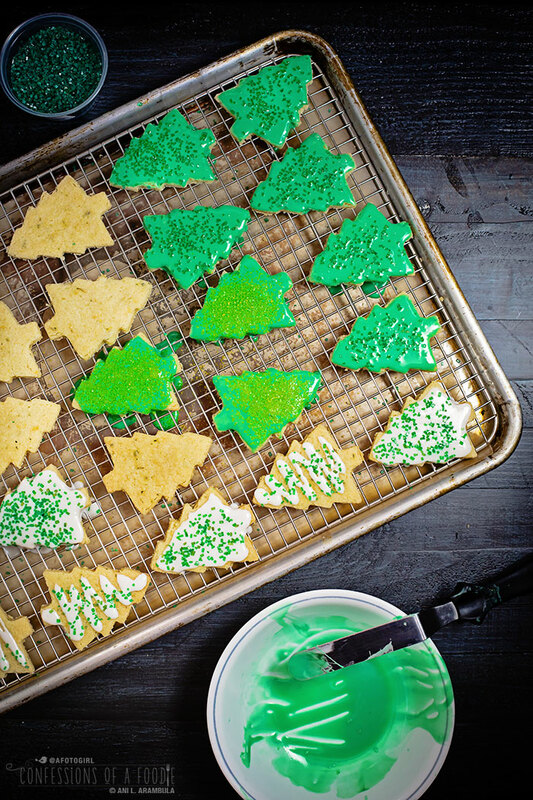 Once cookies are completely cooled, decorate with icing (mix 1 cup powdered sugar with 2 teaspoons light corn syrup and 1-2 teaspoons ice cold milk, stir until smooth; icing will harden in about an hour), sprinkles, or simply leave plain. Out of all the mixes I tried, this shortbread mix was my favorite. 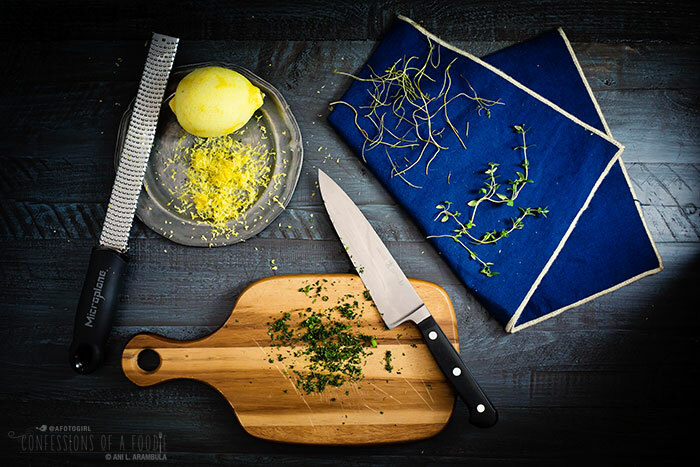 The texture is melt-in-your-mouth divine while the heady scent from the added lemon and thyme swims around you, teasing your tastebuds even before that first bite. I'll be making these again often! These cookies were also a hit with my co-workers. 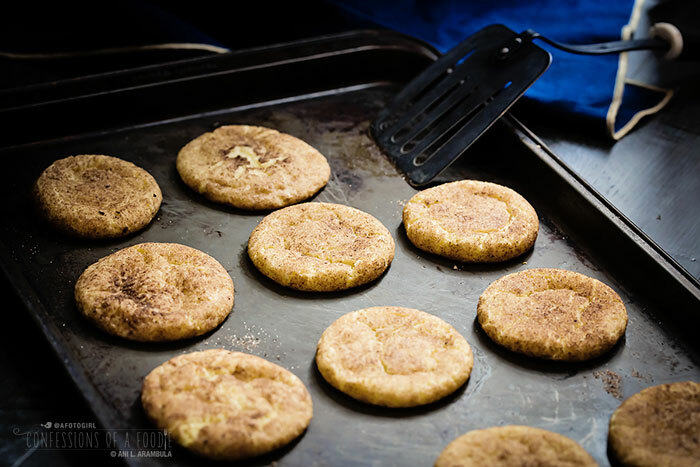 My second favorite cookie ever is a snickerdoodle but they can be a bit persnickety. It's hard to find the perfect combination of slight crunch when you bite into it and a light, soft, chewy center. 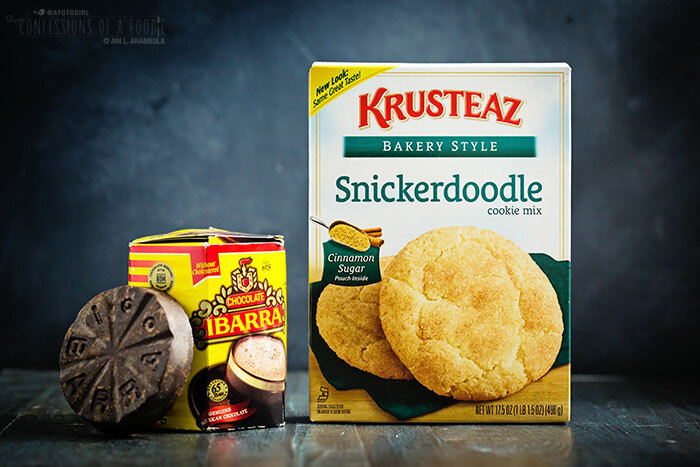 These Krusteaz cookies were that much and more, the more part coming from the addition of grated Ibarra (Mexican chocolate used to make Mexican hot chocolate). I followed the box directions for these, the only difference being that I replaced 2/3 of the provided cinnamon mix with grated Ibarra. If you can't find Mexican chocolate in your area (Ibarra is my family's favorite brand but there is also a brand called Abuelita) you can order it online at mexgrocer.com or you could, in a pinch, use any powdered instant cocoa/chocolate milk mix (plain cocoa powder will not have the sugar needed to caramelize the outside of the cookie so, if using, use all the cinnamon sugar and add just a teaspoon of cocoa powder). These baked up nicely, the centers remaining soft and chewy, the outside providing just the right amount of crunch from the caramelized sugar. The hint of Mexican chocolate isn't forward but it's definitely there, making itself known with a lingering chocolatey, cinnamony aftertaste. Delicious! 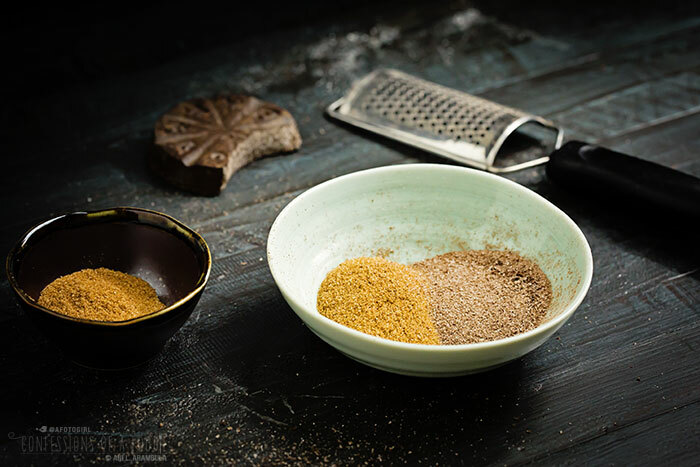 Although, my next batch, I might use just a quarter of the provided cinnamon mix and 3/4 grated Mexican Chocolate. These next two mixes, the Gingerbread and Oatmeal Scotchies, I made with very slight additions. 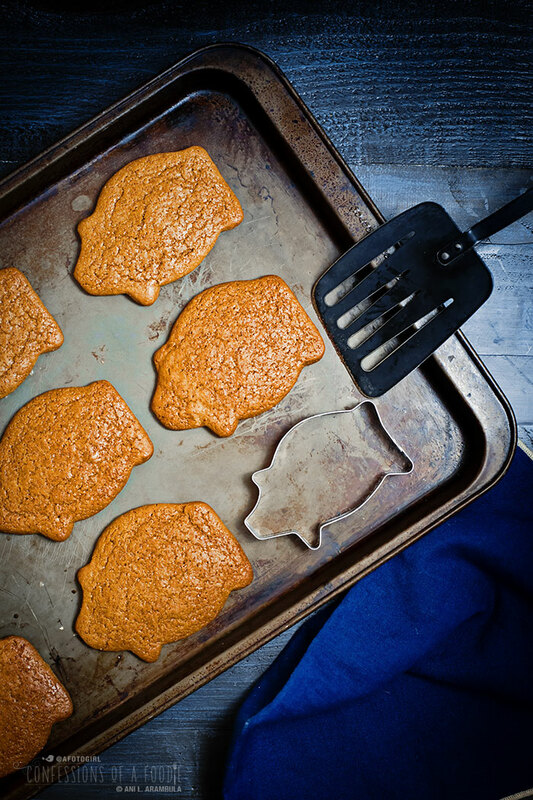 I made these gingerbread cookies in the shape of a traditional Mexican pig-shaped cookie. Born and raised here in San Diego, my sister's and I never learned to speak Spanish (just a few words here and there and, surprise!, mostly food-related) so my family simply called them Mexican piggy cookies but depending on the area you're from, they're called anything from marranitos to puerquitos and even cochinos. 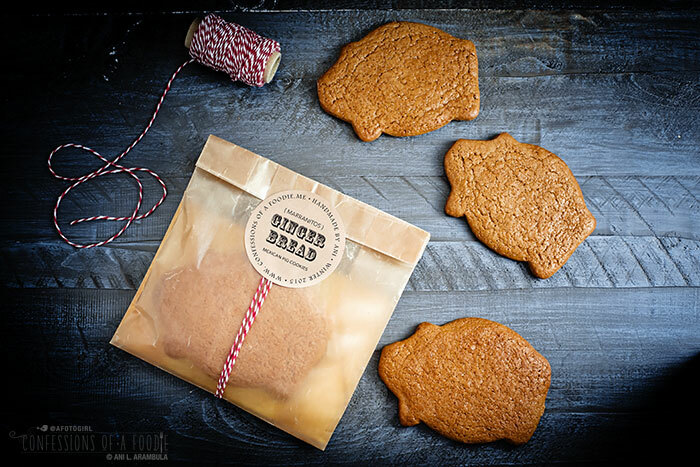 The Mexican version is heavier on the molasses and lighter-handed on the ginger but the piggy cookie holds many happy memories for me of special occasions and trips to the local panderia (Mexican bakery). I followed the box directions for rolled out gingerbread men with the addition of an egg wash (1 egg mixed with a tablespoon of water) to give the cookies a bit of a glossy top, reminiscent of the shiny tops on their Mexican counterparts. My grandmother was disappointed because when she saw them, she took a huge bite thinking they were real piggy cookies. Once I explained to her that they were actually gingerbread shaped like pigs and not the actual Mexican cookie, she agreed that, for gingerbread, they were quite tasty. I had just tricked her brain into expecting something different so she was initially let down. Oops! I still love the shape. The Oatmeal Scotchies were my least favorite. I find butterscotch chips – just like I find vanilla chips – overpowering in anything but the most scant of quantities. So besides the butterscotch being too much for me, I also found these cookies overly sweet, again, most likely due to the butterscotch chips. With the exception of adding one cup of chopped toasted pecans (considering how sweet the cookies were, I'm very glad I added), I followed the box directions. Unfortunately, my first pan of cookies quickly burned. The instructions don't say to flatten the cookie so I merely used a scoop and dropped them directly onto a silicone baking mat and baked. The cookies didn't spread and the bottoms burnt before the center was set. Luckily, I was making multiple pans of cookies and the second sheet of oatmeal was still sitting on my countertop waiting for room in the oven. For the next sheet, I lowered the oven temperature by 25 degrees, changed out the silicone mat for parchment paper and pre-flattened the cookie with my fingers. These baked well and a few butterscotch-loving co-workers enjoyed them immensely. Now that you've baked up a storm, it's time to spread the cookie cheer and make someone's day with a sweet package of cookies. Here's where you can get creative or stay simple, the choice is completely up to you. If you need help with packaging ideas, you can buy really cute personalized favor bags, stickers, wrapping paper and boxes from zazzle.com. They have such a huge selection! Inspired by this awesome tutorial, I bought clear cellophane treat bags from my local bakery supply shop (you can also pick them up at Michael's), the ribbon and scrapbooking card stock I already had on hand to make the package on the left. 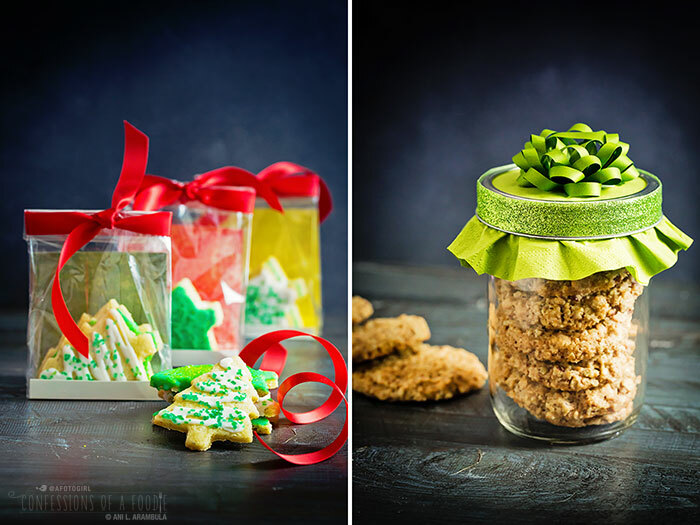 This style of packaging is especially nice for cookies that have been piped or decorated and are especially pretty. 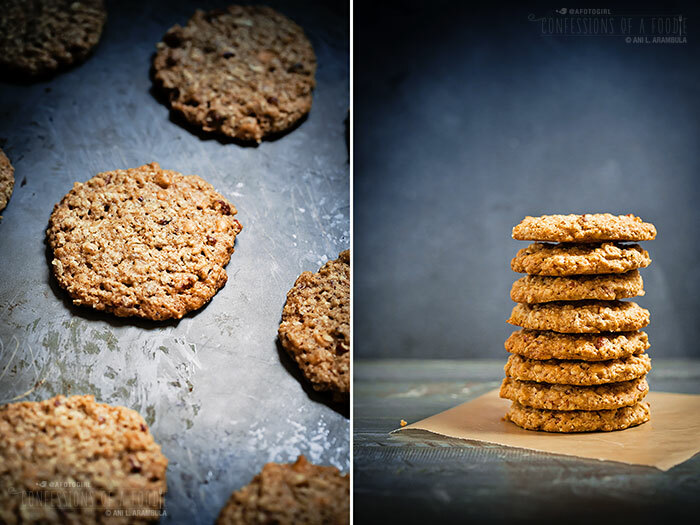 On the right, I used a widemouth pint Mason jar for the oatmeal cookies. I used a colored napkin between the ring and the flat top of the jar. I decorated the ring with sparkly colored tape and topped it with a mini bow. 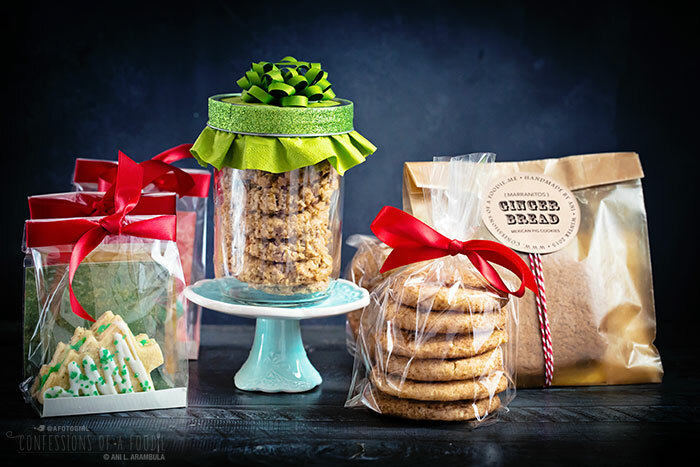 One word of caution when using pint-sized jars or non-widemouth jars, the finished cookie can't be too big or they won't stack nicely in the jar! I have unbleached waxed paper sandwich bags that I picked up some time ago from my local Whole Foods and decided that they were perfect for the piggies. I placed card stock in the bag slightly larger than the cookies (two to a bag), rolled the top of the bag neatly down and used a hole punch in the center of the fold. Through it I threaded the baker's twine, going around the package a few times. I designed my own tags and printed them out on kraft colored sheets of self-adhesive labels and used the tag to secure the twine. I thought these came out pretty sweet-looking. 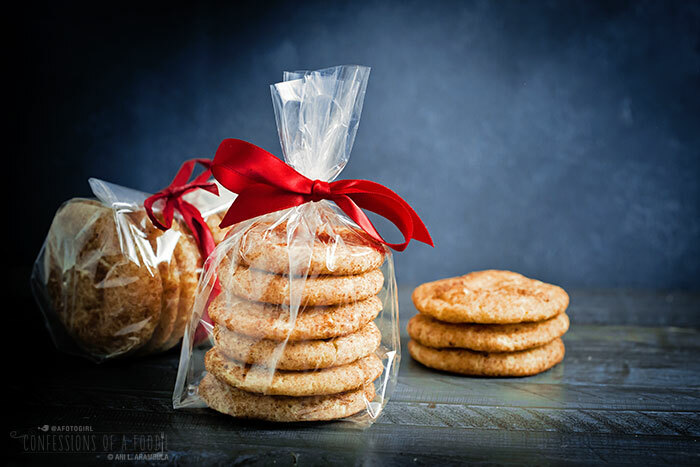 For cookies that stack easily, nothing beats the classic elegance of clear treat bags tied with real statin ribbon. 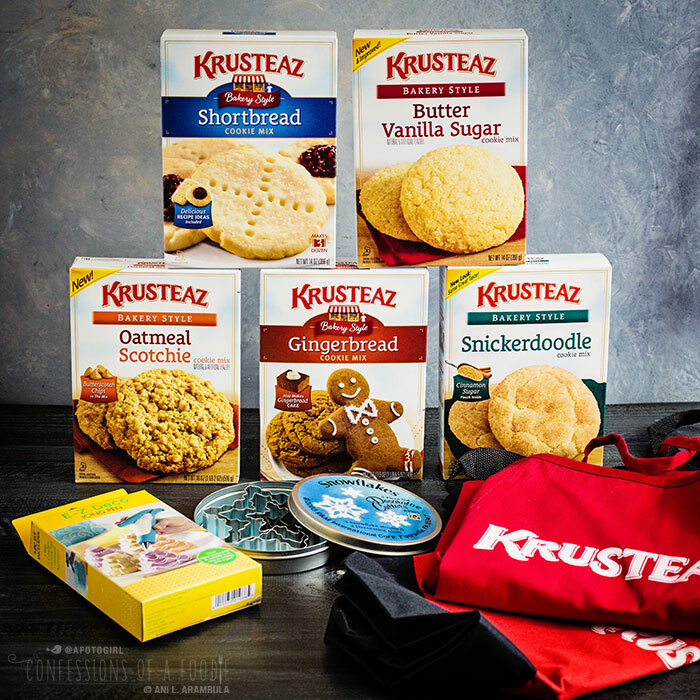 Win this Krusteaz baking care package for your very own! The holiday season always brings more things to do than there is time to do it in. With a house filled with out of town guests, parties to attend and holiday performances to see, shopping to be done, and late night gift wrapping sessions, whatever I can do to shave some time off any particular task with no compromise on quality, I will happily embrace. 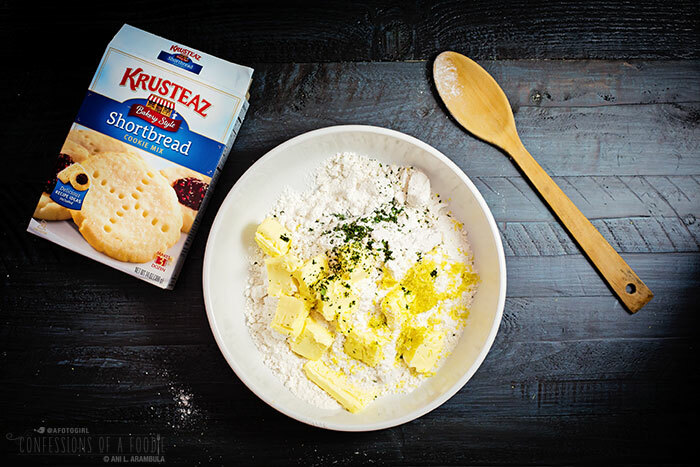 Krusteaz takes some of that pressure off of you knowing you can count on the taste, quality and ease of these cookie mixes might just bring some much needed relief into your holiday season as well. And they want you to experience it first hand! They are offering this gift pack to one lucky 'Confessions' reader. You must use the Rafflecopter widget below to enter. Entries received until December 10, 2015 at 11:59 p.m. Winner will be chosen at random and must respond within 48 hours to accept prize. If response isn't received in that time frame, a different winner will be chosen. Prize will be mailed out directly from Krusteaz to the winner. You must live in the United States to participate. Snickerdoodles are my absolute favorite cookies!! I like oatmeal raisin cookies the best. I like my oatmeal with raisins. I know lots of folks who don't. I'd rather have raisins in them than any kind of chip, personally! I like oatmeal scothies, but if given the choice between that and a chocolate chip, I probably grab the chocolate chip. I love chocolate chip cookies, especially when they come straight out of the oven. I like Chocolate Chip and Sugar Cookies. 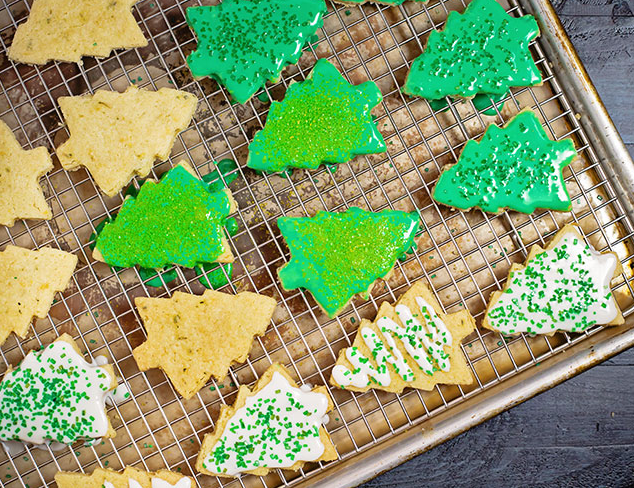 Do you decorate your sugar cookies? My favorite cookie is my Mom's snickerdoodle, I also love a really good peanut butter cookie. At Christmas I love frosted sugar cookies and fudge dipped crescent cookies. The rest of the year I love monster cookies and any kind of bar! I love gingerbread or sugar cookies. It used o be chocolate chip, but I may change to your Mexican cookies, leave out the coffee and add a bit of red pepper, kind of like Mexican hot chocolate!! I love a nice chewy chocolate chip. Oh I love Oatmeal Scotchies!!! Peanut Butter Oatmeal are my favorite! i make a chocolate cherry cookie which is my fave! I like shortbread cookies. The cookies you made above sound wonderful!